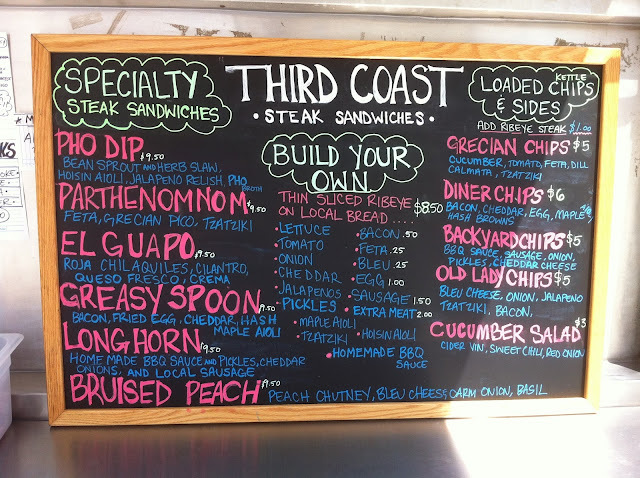 All of Third Coasts sandwiches basically start out as a classic Philadelphia Cheesesteak, then they get creative with them. 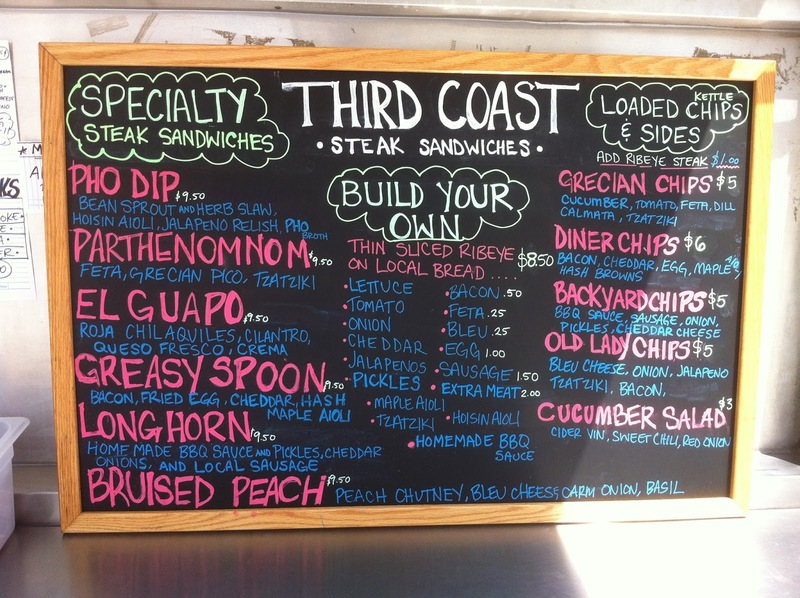 The Bruised Peach has peach chutney, blue cheese, caramelized onions, and fresh basil. 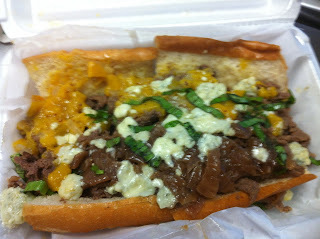 There is plenty of rib-eye done in classic cheesesteak style. The peach and onions are sweet, but the blue cheese acidity helps to cut that, still its a pretty sweet sandwich. 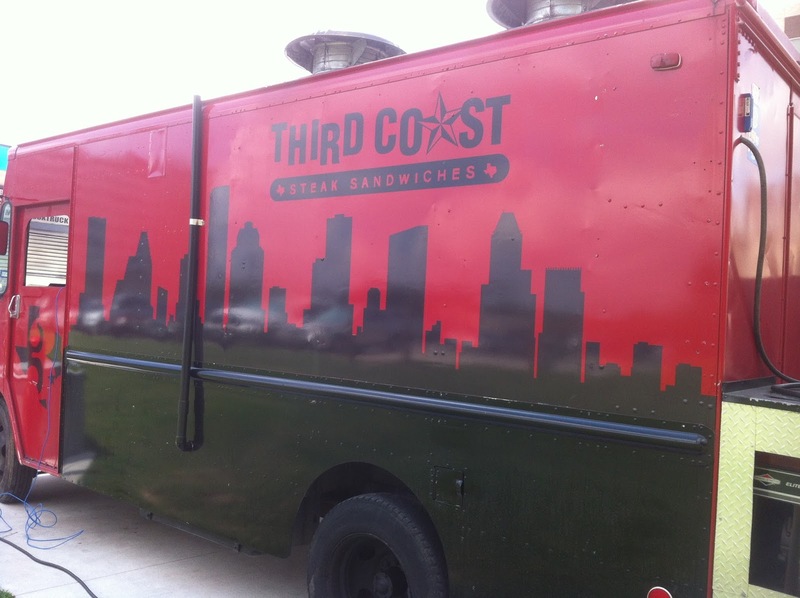 The bread for the sandwich is very good, something I think is pretty hard to get right in Houston for this type of sandwich. This is as close to the bread in Philadelphia as I've found in Houston. Synopsis: A sweet and meaty sandwich with great bread. Think nachos made with kettle chips. These are loaded with, well a classic diner breakfast. Hash browns, an egg, Cheddar cheese, lots of bacon, and maple aioli. The chips hold up really well under these toppings. I wasn't able to eat mine right away and they stayed crisp. The flavors work in these oddest of nachos I've ever tried. 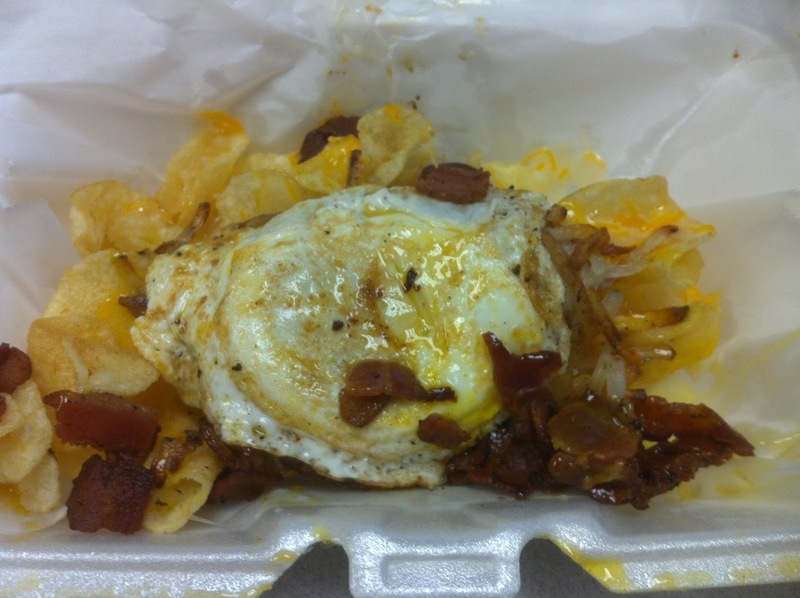 These chips are super rich with the egg, bacon, and aioli. Synopsis: It's like scooping up your breakfast with potato chips.